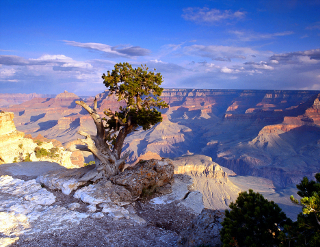 The University of Wyoming's ecology graduate program provides students with advanced, integrated training in the science of ecology. 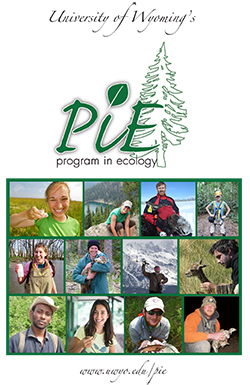 The Program in Ecology (PiE) is an interdisciplinary doctoral program focusing on the scientific study of the relations between organisms and their environments. Research interests of participating faculty span a broad range of organisms, environments, analytical tools, and spatial and temporal scales. Program in Ecology students receive training in the conceptual, philosophical, and historical underpinnings of ecological knowledge, as well as leadership and communication skills relevant to contemporary professional and public settings. Ample opportunities to network and collaborate with fellow students and faculty across departments and colleges. Click here to see the list of ecology-related seminars this week by clicking the link below! Download this summary of the Program in Ecology's faculty and student achievements, as of Summer 2016.